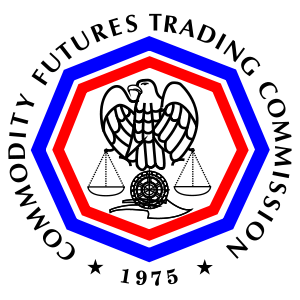 The U.S. Commodity Futures Trading Commission (CFTC) obtained a federal court Order against defendants Rodney Wagner and Roger Wagner (Wagner brothers) and GID Group, Inc. (GID), all of Grand Prairie, Texas, requiring the Wagner brothers and GID to jointly pay approximately $1.37 million in restitution to defrauded customers and a civil monetary penalty of approximately $1.05 million. The consent Order of permanent injunction also imposes permanent trading and registration bans against the defendants and prohibits them from violating the anti-fraud provisions of the Commodity Exchange Act, as charged. The Wagner brothers were the owners and only employees of GID, and none of the defendants has ever been registered with the CFTC. The Order, entered by Judge David C. Godbey of the U.S. District Court for the Northern District of Texas, stems from a CFTC enforcement action filed on November 8, 2011, against the Wagner brothers and GID, charging them with solicitation fraud and misappropriation in the operation of multi-million dollar foreign currency. The Order finds that the Wagner brothers fraudulently solicited and accepted at least $5.5 million from approximately 99 customers to trade off-exchange forex contracts on a leveraged or margined basis. In soliciting customers, the Wagner brothers represented that they were experienced and successful forex traders who generated six percent returns per day through their forex trading and could return principal plus 200 percent of customer deposits, the Order finds. The Order finds that these representations were false. Specifically, the Wagner brothers transferred only a total of $590,000 of GID customer funds into two personal trading accounts and sustained consistent net trading losses each month, the Order finds. In fact, the Wagner brothers misappropriated the majority of customer funds, using some of the stolen funds to pay for their personal expenses and other pool participants’ purported returns. To conceal their fraud the Wagner brothers distributed false account statements to customers that reported returns supposedly earned as a result of the brothers’ forex futures trading, according to the Order.